ALEXANDRIA, VA. – On what should long be considered a day of remembrance and reflection in Las Vegas, I found myself far from the Strip, but close to a casino. 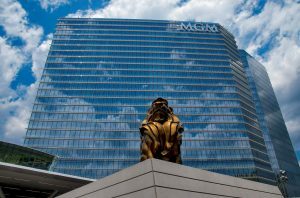 So I decided to visit MGM Resorts’ sparkling $1.4 billion MGM National Harbor property on the eastern shore of the Potomac River in Prince George’s County, Maryland. Its design is described in company material as “modern, bold and powerful” and inspired by the “monumental sense of place” of Washington, D.C.‘s neoclassical architecture. Architecturally speaking, however, National Harbor clearly isn’t trying to imitate one of the world’s most beautifully designed cities. The high-rise is more a chrome and crystal palace, or a futuristic jetport, than the obelisk of the Washington Monument and the Doric columns and Greek temple homage of the Lincoln Memorial. Beyond the offerings you’ll find at most Strip resorts, you’ll find flat screen televisions playing behind blackjack dealers and a tribute to technology that feels Asian in sensibility. With so many lights and angles, it’s easy to forget this isn’t really a mega-resort, but offers just 308 rooms and suites, a dozen dining spots, and a 125,000-square-foot casino. 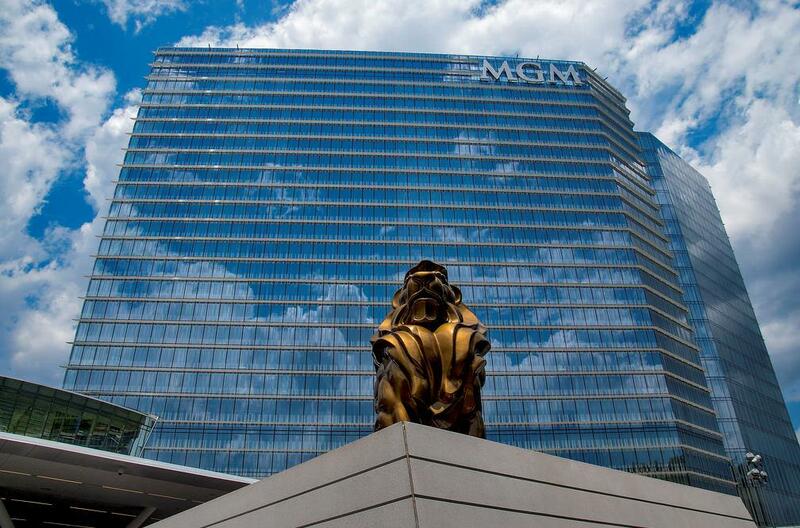 Although the polish of the place makes it an easy fit on the Strip, not everything is “Vegas modern.” Unlike resorts on the Boulevard, at MGM National Harbor smoking is prohibited and the parking is free. During my walking tour, I couldn’t help thinking of the tributes going on back in Las Vegas, a place rattled to its foundation by senseless violence and the largest mass shooting in American history. With 58 murdered and hundreds wounded, the sorrow has been ceaseless in many families. The Las Vegas memorial was live-streamed for the world, and country star Jason Aldean made a return trip to honor the fallen and wounded. In addition to a sunrise remembrance, there was a community blood drive, an emergency “stop the bleed” class, a multi-denominational prayer service, a dimming of resort marquees, and a reading of the names of the fallen. But the show has gone on in Las Vegas even as the litigation has mounted and the multi-jurisdictional law enforcement investigations have failed to arrive at satisfactory answers about what motivated the madman who hauled an arsenal into the Mandalay Bay and used a room on the 32nd floor to fire on an innocent crowd of concertgoers. The public has been told often that it may never really know what led to the mass murder. That lack of clarity, along with the size of the local and federal investigations, creates its own questions within questions. It leaves great room for speculation, some of it well-intended and highly sourced, some more focused on fomenting controversy in a highly litigious atmosphere than reaching difficult conclusions. Back in May, a website called the Baltimore Post Examiner quoted an unnamed police source to raise the issue of whether Las Vegas Metropolitan Police Deapartment could have done more on the fly than on that fateful night. The website alleged police discontinued a training exercise that included using a helicopter and sniper to fire on a gunman in an elevated position. Doug Poppa, the article’s author, concluded, “The Baltimore Post-Examiner was told that after the October 1 Massacre the LVMPD has now trained some patrol officers as ‘Special Purpose Riflemen.’ They have AR-15 platform type rifles with variable low power optics for longer shots and are deployed at events for watching crowds. It’s a memorable line, one important to remember not only on a day of reflection but the rest of the year as well.